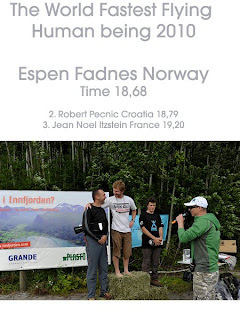 As posted on the World BASE Race website a few days ago: Espen Fadnes got 1st place. 2nd place goes to Phoenix-Fly owner Robi Pecnik. 3rd to Jean Noel Itzstein of France. The scoreboard was posted to dropzone.com.